A veritable Bundesliga evergreen, 's heart-on-sleeve ethic has invariably made him a fans' favourite with his employers in Germany and further afield. Now in his mid-30s, the VfL Wolfsburg forward is showing no signs of easing off any time soon, either. Born in the village of Davor, then still part of a united Yugoslavia and now close to Croatia's border with Bosnia and Herzegovina, Olic left local outfit NK Marsonia at 19 to try his luck in Germany for the first time with Hertha Berlin. It was not until he was 27, however, that the versatile, all-action striker would make his mark on the Bundesliga, after Hamburger SV snapped him up from CSKA Moskva during the 2006/07 winter break. Five goals in 15 games from the new signing helped the Red Shorts from the fringes of the relegation battle up to seventh in the table by the end of the campaign. On Matchday 10 of the following season, Olic further endeared himself with the HSV faithful with a hattrick against champions VfB Stuttgart – remarkably, the first ever scored in the Bundesliga by a Hamburg player. His tireless competitiveness and eye for goal – 29 in 78 league outings over two-and-a-half seasons – did not go unnoticed in Munich and in the summer of 2009, Olic headed south to FC Bayern on a free transfer. There, he soon carved out a first-team berth for himself under Louis van Gaal and as well as ending his debut season in the Bavarian capital with a league and DFB Cup double, he hit the net seven times for Bayern en route to the UEFA Champions League final, where they lost out to Inter Milan. A succession of injuries restricted him to a handful of games the following season and while he was up and running again in 2011/12, he now had to be largely content with a role off the bench. 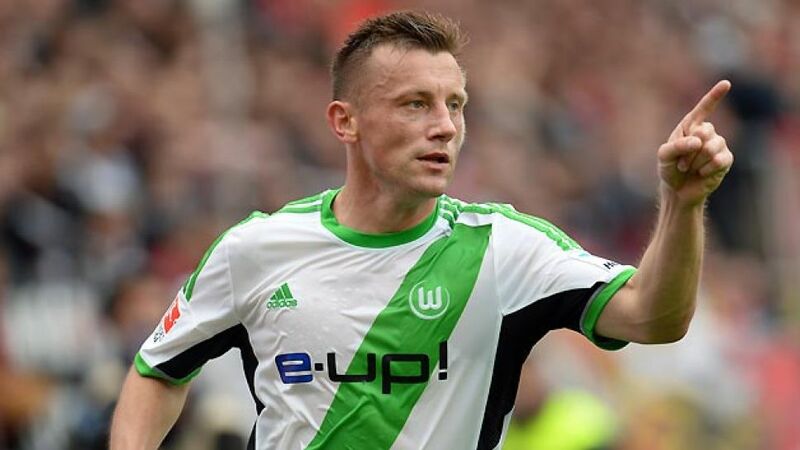 In the summer of 2012, Wolfsburg came calling and Olic, fast approaching 33 years old and still eager for regular action, was on the move again. 64 league games and a further 23 goals in the subsequent two campaigns are testimony to his ongoing endurance - as is the two-year contract extension he penned for the Wolves in April 2016. On the international front, Olic made his debut for Croatia in 2002 and turned out for them at the 2002 and 2006 World Cups in Japan/South Korea and Germany respectively, as well as EURO 2004 in Portugal and EURO 2008 in Austria/Switzerland. The veteran forward also remains very much a key player in national team coach Niko Kovac's thinking at Brazil 2014.
earmarked for a pivotal role in Brazil as well.